I know you're all wondering, how is Karen doing, how did knee surgery go, what's for dinner, what time's the game. Don't worry, I know you care. Sorry I've been so long posting. It's not like I didn't have time while resting at home for six weeks. Well, it was a while before I felt like doing a lot. Seems like I slept as much as I stayed awake. And when I was awake, I exercised. This was 3 weeks after surgery. My therapist took the walker while I worked on my extension while walking. For all you wonderful people who have to suffer with Osteo-Arthritis and wonder if it's worth it to have knee surgery. I have to say yes, for me, it was worth every penny and pain. I am doing wonderful. My daughter and grand-daughter and I went to the zoo and walked for an hour and a half without me complaining once about my knee. We were both impressed. Well, there was the one time I climbed on a big step to get a pic of the gorilla and stepped down way too hard. Got it. He was very cooperative. I went up and down stairs and chose to do that instead of taking the ramps. I was so happy that I could walk. It was the best day ever. My daughter and I just followed our three year old wherever she wanted to go. So you have my recommendation and so does my doctor, Dr. Kurt Rathjen, in Dallas. If I need to replace my left knee, no problem. I will do it in a heartbeat. The trick is to exercise. I'm still in outpatient therapy but my doctor is so happy with my progress I almost got to skip it. I'm just working on range of motion to make it even better. I asked for aquatic therapy and I get to have a couple more days of it unless I can talk my therapist into letting me go longer. My favorite part of therapy is the warm water. Then we do land therapy and not so great but I love it. It feels so good when it's over. I have so much more energy. I have about six weeks of land therapy and I'll be ready to climb mountains. Now I don't know if Dr. Rathjen calls all of his patients, his Star Patient, but he was very pleased with me as was my home health therapist, Tara. Here is an after picture of the surgery. The scar isn't pretty but it's not too bad either. I also had a little time while I was off work to learn how to use my new embroidery machine. It is a lot of fun to make new things and I'm getting very motivated to do even more. So look out, I'll be sharing some of my fun things I'm making. Here is the very first thing I made on my machine and got a few orders just posting them on my personal Facebook page. 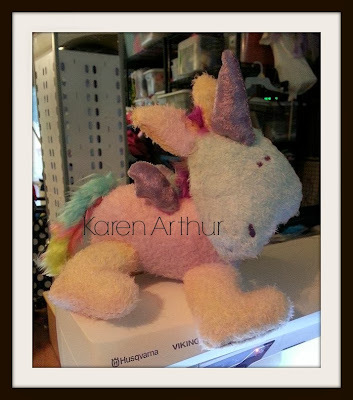 I would call it a unicorn but my 9 year old grand-daughter would argue it's an alacorn since it has wings. She wants a real one when she grows up. The 12 year old wants a live miniature giraffe. Yeah, we're not living in fairytale land over here, are we? I also played around doing fun doing things I don't normally have time to do. I have far too many hobbies but I love arts and crafts and wish I was as good at drawing as my naturally gifted 12 year old grand-daughter. But I ordered a couple of new books from Stephanie Corfee and here is my 9 year old grand-daughter I drew while sitting on my swing watching the girls play outside. Also, while I was off, I was on a book launch team for Mary DeMuth's new book, The Wall Around Your Heart. It is a wonderful book and helped me make a few changes in my own life. 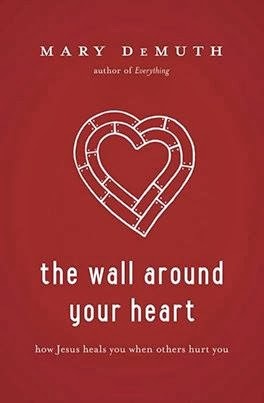 It addresses how we build walls to protect ourselves from hurt and pain but in doing so it closes us off to happiness. Also how to tear down those walls and heal from the pain. Some people don't even realize they have walls. It is very eye opening and a great inspiration. Awesome book and I highly recommend it as well. You can order it here. Read posts here. Check out some of the pins with quotes from the book here. So that's about it. I started back to work on Monday and the wonderful friends that do what I do at other stores came in weekly and then made a two day job of cleaning up my office, boxing paperwork, and doing a major overhaul. They also had me caught up and ready to work. What a wonderful feeling to go back and not have 6 weeks worth of back paperwork. Plus, another friend I work with had been keeping up with most of the daily paperwork as well as some filing. I have such good friends and I am feeling very blessed. I have a lot to be thankful for and a lot to pay forward. Yep, out with the old and in with the new. I'm excited, a little concerned about pain but not too much. It won't hit me until I wake up and it's over and I'm freezing from the cold pack. I remember my Mom going through this a little over four years ago. 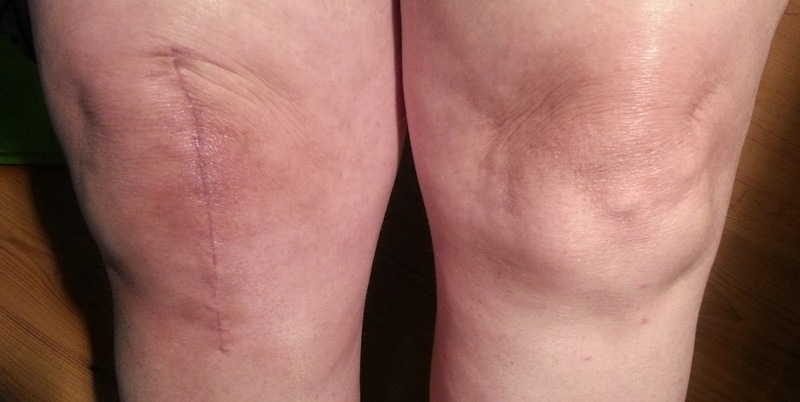 She had both knees done (I wanted to do both, doctor didn't) and she was 20 years older than I am now. If she can do it and do so well, I know I can. She was a pretty tough bird and suffered far longer than I have but I told her I wasn't going to wait that long. She didn't want to leave her best friend with MS, Charlie, without someone to take care of him. I told her she needed to take care of herself, he had children that could take over while she recovered but she suffered and never quit going. I know she was in terrible pain, her legs became bow legged, she pushed herself from healthy to weak She didn't get the full benefit of her new knees. She passed away four years later last October and the last two years she was pretty much confined to wheel chair due to Orthostatic Hypotention. She was mad because she had new knees and couldn't use them. I want to go to the zoo with my grandkids and enjoy walking with them to see all the animals. I don't want to depend on someone having to push me around in a wheelchair. I'm tired of the pain and the limitations Osteo-Arthritis has put on my activities, my body, my enjoying my family. I want to go shopping and not have constantly find a chair to rest. I'm ready for a change for the better. So here is the old knee (hint: it's the right knee being replaced). Look at that monster of a knee. I'll have an ugly scar but it'll be worth it if I can walk better. I'm also praying when I start walking better I can lose some weight and get even healthier but that's another story. I'll keep you up-to-date on my progress. So it's after midnight so today's the day. Wish me luck and throw in some extra prayers for me this week. I thought I would repost this poem I shared a couple of years ago. There is so much talk about the first day of school and friends that are teachers getting as excited and nervous as the kids. It is my oldest grandchild, Kaylyn's 2nd year in Middle School, going into 7th grade, so she's an old pro now. Her sister goes into 4th grade and baby sister has to wait two more years. My oldest grandson start's 5th grade and little brother is still home with Mom but he is so ready to learn he's already reading his colors. He's been messaging me on Facebook for a year now typing out the words he already knows and he's only four. What can I say, all my grandkids are geniuses. I bet yours are too. So here is a poem I wrote for teachers on this auspicious occasion. Especially, first year teachers. You will do just great. I'm sure of it. You have a tiny, little panic attack. For they are willing to give that love back. Give up her lunch before the bell rings. After explaining it 12 times it seems. And how much each little angel loves you. While today you helped mold their little minds. Will be remembered for each one’s lifetime. I woke up with these words in my head Saturday. 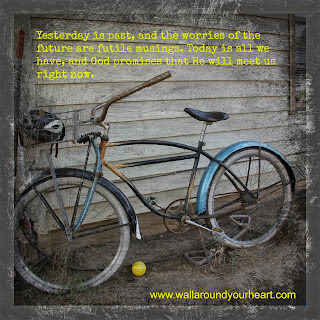 I wrote it down and then read it at our ladies meeting Saturday morning. 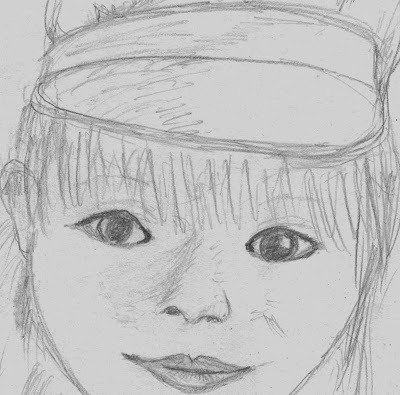 Then that I gave it to my Friend at her 75th birthday party that night. I'm going to reprint it on pretty paper and frame it for her. Val has been my best friend for almost 30 years and I call her my angel. No matter what I need, she is there to take care of it and I do the same for her. So I thought I would share this special poem with you. I hope it speaks to you as it did to me. Remember, God is always with us. Lord, that’s how I See you. Laughing, "Look what I can do?" Calling, "Mommy did you see me?" Lord, that’s how I Hear you. Rain splashing on my shoe. Lord, that’s how I Feel you. You Talk me through my pain. Good or bad, You love me just the same. And I pray I understand. And Your Will is my command. I just realized it's been 5 months since I posted on my blog. It has been such a busy year I guess time just flew by. In Dec I had a routine CT scan that ended up adding a PET scan, an abdominal biopsy, a visit to an infectious disease doctor, a MRI, and a bone biopsy on my spine and now that it's all said and done . . . I don't have cancer. Which is good news, Praise the Lord. I could have done without the stress and pokes and exposure to radiation but I'm glad to know I'm still going to live. I do have Sarcoidosis but that's another story. Just an inconvenience. So since I've missed saying it, Merry Christmas, Happy New Year, Happy Valentine's Day, Happy St. Patrick's Day, Happy Easter, Happy Mother's Day. And in case I miss it, Happy Memorial and Father's Day. So many days to celebrate, so little time. I feel like I can get back to living. I am finally really learning to play the guitar. I took one lesson from a gentleman at church who is graciously giving free lessons (it said youth but some of us oldies showed up). I am so excited, I went right out and bought a new guitar for me for Mother's Day and got my Honey's fixed up for him. I have practiced every day since our first lesson and my fingers are getting numb. Funny how they develop a callous but you can still feel the pain pressing on those strings. I asked for soft strings but got some eye rolls instead. (Okay, I missed two days practicing but made up for it the next day.) The reason I am so excited is I've tried this several times before and never made it past a day without giving up. Maybe two but I don't think so. Apparently, since I am more familiar with pain, I'm like what? You called this pain. This is nothing. I must have been such a wuss. My daughter and I went to three craft shows in the last 6 weeks. We set up selling cutesy stuff to next season's cheerleaders. Autumn did awesome. I, on the other hand, gave out a lot of business cards. I expect those to pay off closer to football season. Finger's crossed. I am making big, bead spirit jewelry and have a blast doing it. I am so obsessive compulsive that I just ordered more beads than my drawers can hold. No problem, I have empty folger's jars waiting. That's called positive thinking. The craft room has been completely moved around and it is in pretty good shape finally. No, it's not totally finished but we had to make some real crafts to justify taking over the entire den and dining room. I'll post pics on my next post. I have to run to church for a Lady's Ministry Kick-Off. Since our oven is not working I'm taking a pack of cookies leftover from Children's Church this morning. Chewy Chips Ahoy, I don't think anyone will complain. I just hope they make it to church still unopened. Have a blessed week. Or 5 months but I promise I'll be back before I let it go that long again. The story of Newtown, Connecticut is all over the news and our hearts are full of sorrow for the families that lost loved ones, the town that is having to deal with this horrid disaster, and the victims who's lives were cut short before their time. We know they are with Jesus and are not feeling any pain, totally opposite to what we are feeling. I get a lot of Facebook posts for prayers and I have followed some stories of children that have been going through different illnesses, some from abuse, and how brave they are and I have been uplifted by the faith of the parents going through the anguish and cried with them. Last week one of these little children, a beautiful angel born with SMA, Briley Faith, gently left her mother and father's arms and moved to her new homes straight into the arms of Jesus. I was so sad that she wasn't healed on Earth, yet rejoiced that she was healed perfect in Heaven. In her short two months here she touched so many lives, including mine. Four years ago another child, Peyton, crossed over on the same day I found out I had breast cancer. Somehow following Peyton's story helped me get through my struggle. She was so brave after discovering she at leukemia at only four years of age, how could I complain. Peyton's aunt said she was my angel to help me through it. I thought of Peyton often. I never met her, her aunt was on one of my Yahoo groups and had asked for prayer. We sent gifts to Peyton and her brother and followed her story while praying for her daily. Just one example of how the Internet has enriched our lives. Being blessed by some really great people and also, hopefully, having the honor of touching other's lives. When little Briley Faith (what a great name for such a beautiful little girl) crossed over, the beginning lines of a poem began swirling in my head. The words kept coming back to me over and over. And then the shooting happened. The same lines bore into my brain and I had stop what I was doing, sit down, and finish this poem that God put on my heart to write. It was around 11 p.m. and I finished it at 2 in the morning. So this poem is dedicated to Briley Faith and the 20 children that crossed over last week. I have cried buckets of tears and I know tears have flowed through most of America and across the globe even. I've prayed many prayers for the health of our country, Briley's parents, and also for everyone involved in the tragedy and my prayer today is that this poem will somehow touch you and give you comfort. God’s beautiful playground where the children will be. A few came together, in accidents, some not. I want to hug all and give them a kiss. I’ll let them know how on Earth they were missed. Holding the children with stories to tell. With all of the children gathered around. I’ll tell them each one has changed many lives. Their parents were sad when they had to go. I’ll be there for them until that great day. Let God’s love surround you while you hold their hand. They’ll be playing in Heaven right close to the gate. And remember in Heaven there’s never a fear. Excited and happy, I’m coming to play. Yesterday our church dedicated three new flagpoles in front of our church to our veterans and active servicemen. It was a beautiful ceremony and honored our 84 year old member of Trinity Life Baptist Church and WWII veteran Carl Wood. He is a really sweet guy and funny. When he spoke he started at his birth and covered his 94 years but it wasn’t too long, he was great. He also worked at the Veteran’s Hospital for thirty years after he got out of the Army, the last three as the director (head honcho). I, for one, am very impressed. I’ve only known him as a sweet old retiree. He even worked at Sam’s Club thirteen years after he retired from the hospital opting not to sit home but staying busy. If he had not begun losing his eyesight he would probably still be working. We were even on Channel 4 news at 9 last night. Well, not me but Mike made it on there along with quite a few members and of course, Carl and his lovely daughter, Barbara Ripley (they kept calling her Riley so I wanted to set that record straight). My husband was asked to speak during the first service. The Senior pastor who was not in the first service told me three people came up and told him how moving Mike’s speech was so he asked him to speak again at the second service. I’m so proud of my husband for so many reasons and one of them is his heart for God. He wore his uniform and looked so dashing. The picture above is just as he said amen in the dismissal prayer. So Pastor was not being disrepectful by not bowing his head. The other pic had him looking at his watch so I thought this one was better. Didn't want you to think Mike was a longwinded pray-er. Then we moved outside for the dedication and he was asked to pray again. Guess Pastor Russell thought he need to get prayed up. Here is his speech from the first service in case you missed it or just want to hear from a veteran in the Viet Nam era about his service experience. Believe me, it’s worth it. Background data, Mike and I knew each all our lives because our dad’s worked together. When he was stationed in Japan, he wrote a letter to my dad and mailed it to the house. He said if anyone in your family would like to write, I’d love to get letters from home. Mom swore he was aiming that at me which I knew she was crazy but I wrote to him anyway because I’ve always had a bit of a crush on him anyway. You know, the older man and all. So that’s how we ended up married. It was love at first letter. We are from a family of servers. My dad was in the army and went to India, Mike’s dad was in the Army Air force and went to Italy, Mike's mom was in the Marines and went to Hawaii as a pastry chef, and my son went to Egypt and Iraq as a medic. And we have lots of friend that served as well. The picture below is from church yesterday. My husband is the one in uniform next to the lady in the red blouse (that’s me) and my friend, Val, is standing in front of me, her husband Joe was in the Air Force. The lady next to Val holding the baby is Jill. She has three boys and her husband Jonathan has been to Afghanistan so many times I’ve lost count but he is at this moment in the states on his way home for good. He has or is receiving a medal (or medals) for saving the lives of many people in a suicide attack on our service men not too long ago. He was injured as well but made it back to keep fighting. Praise God for his bravery and service. So today, on this Veteran’s Day, November 11, 2012, I say thank you to all our veterans and active duty service members for serving our country. Thank you for the sacrifices you’ve had to make and thank you to the families for their sacrifice as well, and sometimes the ultimate sacrifice. Our country would not be free today were it not for our men and women who serve. I try my hand at writing mostly poetry but I have written a book as yet unpublished, making jewelry, photography, and Jill of all crafts and master of some. I pretty much will try anything crafty that looks interesting, fun, or challenging. Next on my to do list, Christian Comedienne. I am a breast cancer survivor, diabetic with arthritis. I love God and my wonderful family. I am happily married to my husband Mike of 39 years, I have two daughters who are great moms, and a super son who returned from Iraq and is back at his job as a patient care tech, at Presbyterian Hospital. I have 5 wonderful grandchildren, three girls and two boys who bring me great joy and laughter. My family are my real gems. 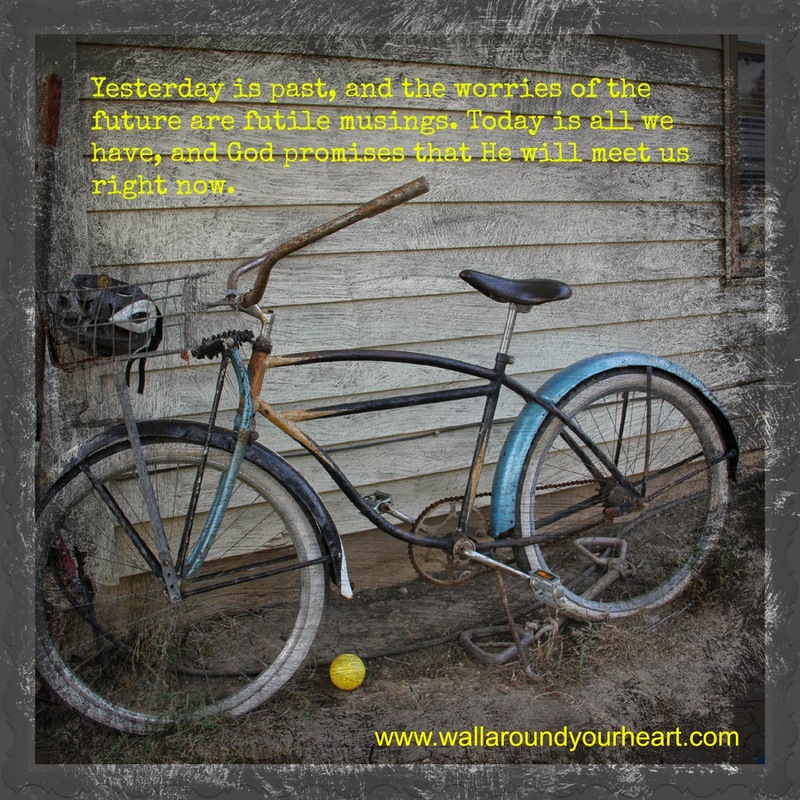 Hang around and check out the poems, crafts, family stories, and many more fun posts. My Facebook page is Grandmommys Gems to see the jewelry and hairbows. My daughter's Facebook page is Autumn's Alley where she shares her custom made Koozies and children's clothing. Please leave a comment and let me know if you enjoyed your visit. Thanks for stopping by.